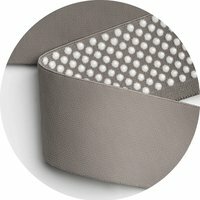 The new Lastofa feels soft to the touch and smooth on the skin. On account of the matt, opaque look the knitted fabric has a discreet and understated effect. Due to a newly developed yarn construction Lastofa is not only more durable than before but it requires less effort to put on the stocking. Discover the new comfortable varied standard and made to measure range! From a statistical perspective people are becoming taller and bigger. Size tables must take this development into account. 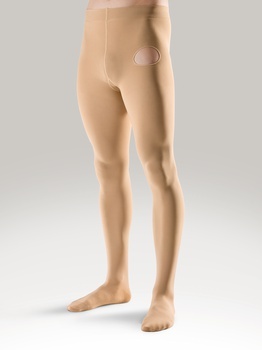 The compression quality products Memory and Lastofa are now based on a uniform size system that reflects real statistically verified body measurements. 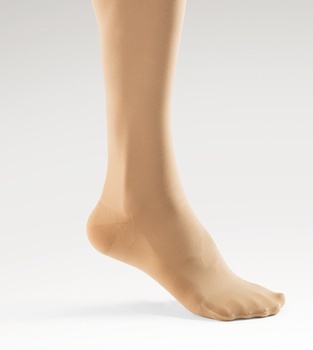 Memory, the elegant , and Lastofa, the universal medical compression stocking, will use as of now the identical sizes I – V. In addition, Lastofa will cover with its exclusive size VI even larger circumferences, thus emphasizing the aim to provide universal care. With this varied choice of designs Lastofa meets numerous individual wishes – even in the standard product sector! 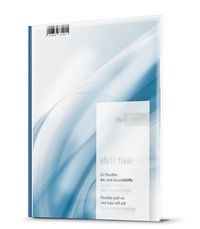 Lastofa now offers an open toe in two foot lengths! As usual, the closed toe design is available in two foot lengths. However, Lastofa offers more: for the first time there is also with an open toe design the choice of two foot lengths. Thus Lastofa meets even more individual requirements. The open toe has additionally an extra agreeable comfort cuff. Eight ingredients for more taste. The new Lastofa colours. 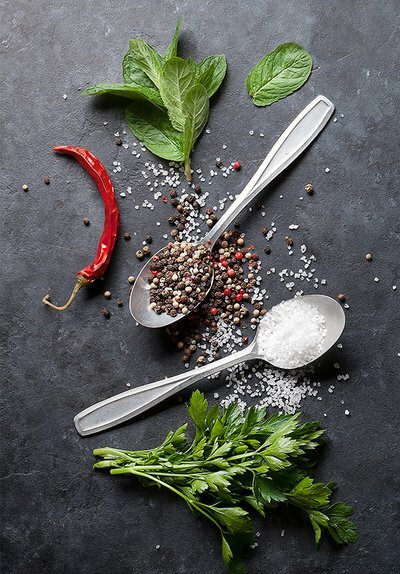 Aromatic herbs and spices are the namesakes for the eight new Lastofa colours. The two skin tones and six colour tones are both tasteful and varied. They can be combined to create a discreet and restrained style or lend spice to an outfit – depending on your individual taste! 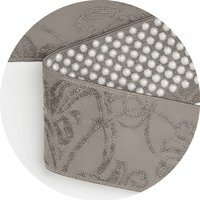 Lastofa is the allrounder in the product range from Ofa Bamberg: for men and women, for every occasion and any type of tissue. The modern stocking, which is suitable for daily wear, guarantees a reliable hold in every situation, at work, during leisure time, at home or away from home. 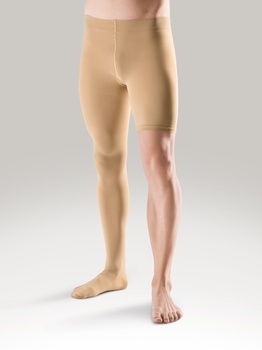 Women as well as men value the simple, discreet design of the stocking’s popular unisex quality. 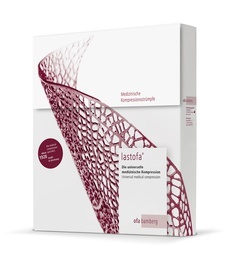 Lastofa offers the highest medical efficacy and ideal therapeutic care, also for patients with advanced venous problems or very weak tissue. 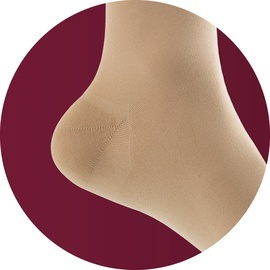 All Lastofa compression stockings have the same goal: the best hold and a great look. A stream of constant innovations have flowed into the development of grip tops, which offer both technical and visual advantages – simply a perfect finish. 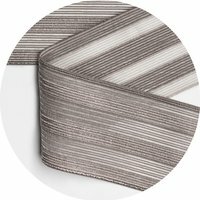 The latest addition for women and men in a timeless stripe design, simple and modern. 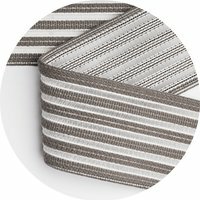 The transverse reinforcement and the silicone applied in stripes offer a stable and reliable hold. The spaces in between allow the skin to breathe – pleasant wearing comfort and sporty look guaranteed. The classic grip top is ideally suited for people with sensitive skin. The flat naps can be hardly felt and allow the skin to breathe. The soft material provides a pleasant texture. The grip top in modern Jacquard look with perfect air permeability, also for sensitive skin. 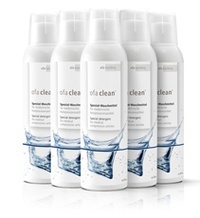 The silicone has been selectively distributed and allows the skin to breathe optimally. 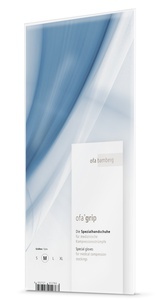 The soft material of the grip top at the same time ensures a pleasant texture. Particularly suitable for people who attach great importance to a strong hold or suffer from silicone intolerance. The rubber grip top only covers selective areas, thus allowing the skin to breathe. Due to a special transverse reinforcement it cannot fold down.